It’s 7 AM. Do you know where your friends are? You do, because you already checked Facebook on your mobile straight from the comfort of your bed. 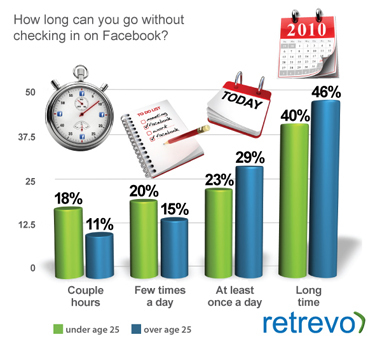 Retrevo, the consumer electronics shopping site, has surveyed 1000 social media users in the U.S. about when, where and how much time they spend on social networks. 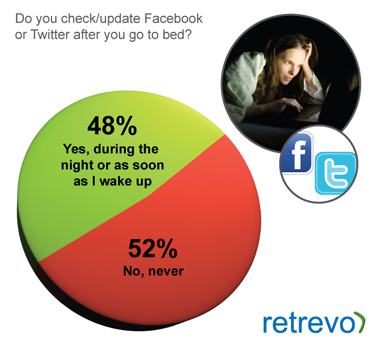 Unsurprisingly, a lot of us check and/or update Facebook during the night or as soon as we wake up. 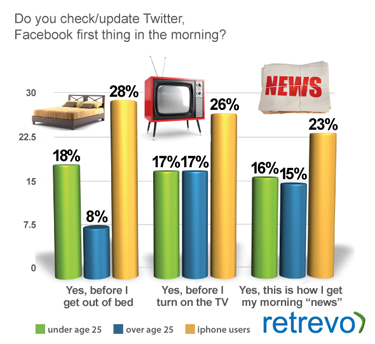 iPhone owners and those under 25 are more likely to check with their virtual peeps before getting out of bed, but still, for about one out of every five people, Facebook is part of the typical morning routine. 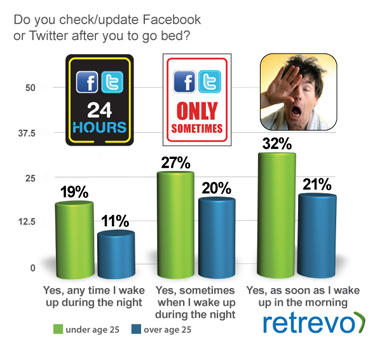 Do you check/update Facebook in bed during the night or as soon as you wake up? 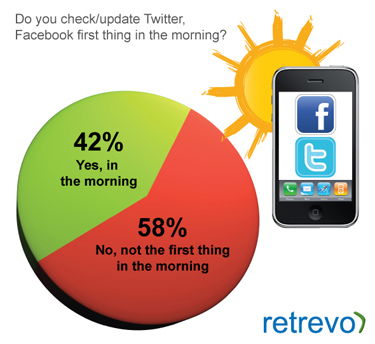 How frequently do you check the site during the day? 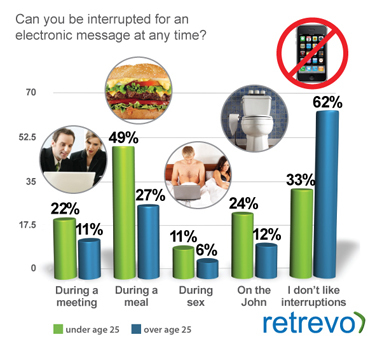 Are you under or over 25 years old? 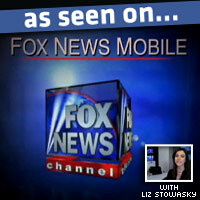 Facebook not a social network, but a broadcasting channel? 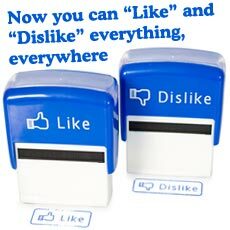 Posted by Pieter on March 18, 2010 at 4:59 PM. Use this trackback if you're linking this story.